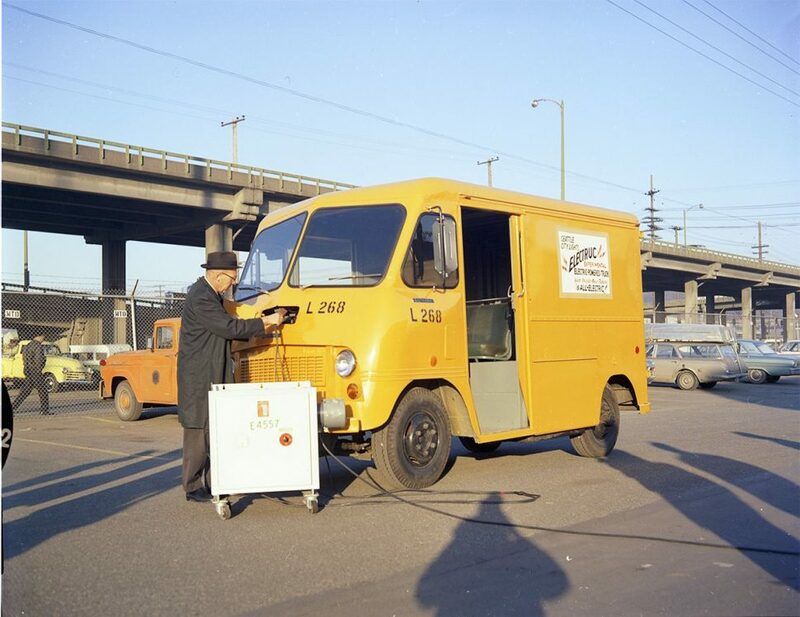 Starting in the late Sixties, Seattle City Light began an electric vehicle program to try to get the city and the city’s residents to switch from their internal combustion vehicles. According to Seattle.gov and KUOW, the city started with the Electruc above in 1968, moved on to an electric Gremlin in 1973, and then, in 1976, went with the scratchbuilt RT1, part of a larger electrification plan. The RT1 was conceptualized as part of a downtown restricted transportation zone from which most internal combustion vehicles would be barred. City Light envisioned this zone, full of electric cars like the RT1, as nearly eliminating transportation pollution in the urban core. * After the story on the buried Wolseley, Brian Austin pointed out that the city of Niagara Falls is out looking for a buried car of its own — an Oldsmobile interred there as part of an art installation-slash-time capsule. 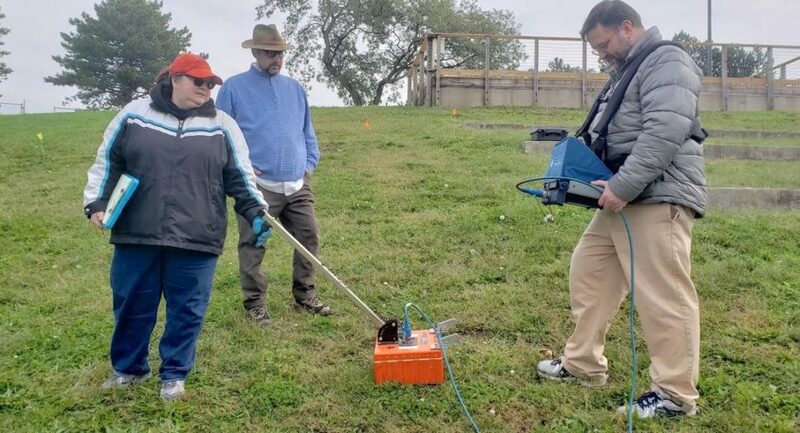 The pair [two professors from Buffalo State College, Lisa Marie Anselmi and Kevin Williams] used sophisticated radar equipment, which Williams said has been used locally to find grave sites at Oakwood Cemetery in Niagara Falls and buried barracks at Old Fort Niagara in Youngstown. On Friday, the technology was used to find the perimeter of the buried car, which is an estimated 8 feet beneath the surface. The “Citizens Time Capsule” was the brainchild of Doug Michels, an architect and founding member of Ant Farm, a radical group of artists from San Francisco. * Geoff Hacker at Undiscovered Classics pointed out what was reportedly an unusual attempt to take on the original Hertz Mustangs: Avis’ Siva gullwing fiberglass car. 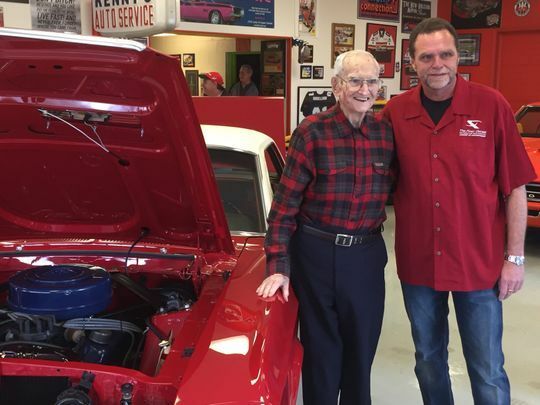 * Harry Donovan might have gotten his Mustang, but other customers who dealt with the Indianapolis restorer haven’t been as pleased, and as the Indianapolis Star reported this week, the various court judgements against Ken Mosier have driven him into bankruptcy. But at the time, other paying clients weren’t so happy with Mosier. That included two former customers who had filed lawsuits in 2016. Both alleged that Mosier took their money for high-end restoration projects and didn’t deliver on his promises. One of the lawsuits was filed by Matthew Euson, a Southern Indiana car collector who was awarded a $396,000 judgment against Mosier. The lawsuit involved a dispute over the restoration of a rare 1970 GTO Judge convertible. Euson said he paid Mosier about $80,000, but after two years the car still had not been restored. In another lawsuit, a Texas man won a $210,000 judgment after he claimed to have paid Mosier more than $81,000 — and purchased another $13,734 in parts — to restore a 1963 Plymouth Sport Fury. * Finally, Porsche’s 9:11 magazine recently put together a short video on the Fetzenflieger racer that Otto Mathe built.